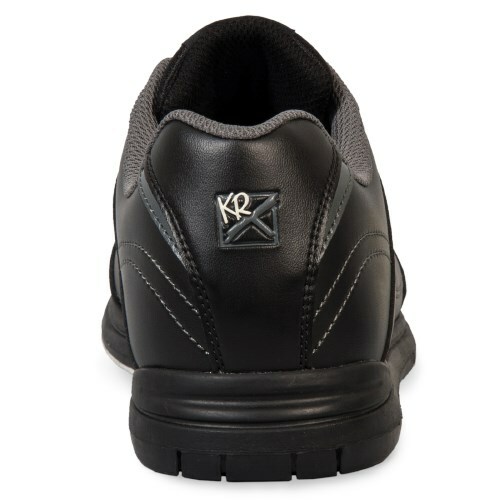 The Flyer shoes by KR Strikeforce are basic universal soled shoes (meaning it has slide soles on both the right and left shoes). 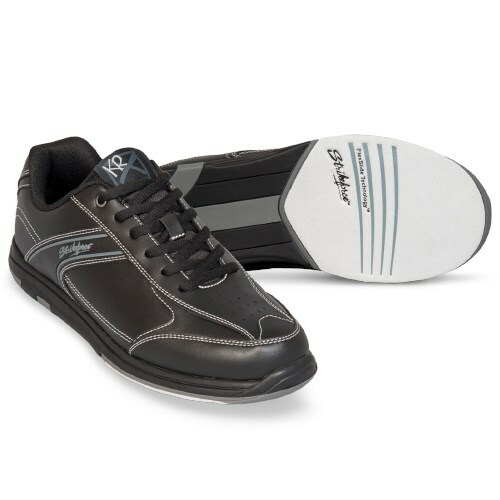 These are simple yet stylish and they are made with a soft durable man-made upper so it they are comfortable even for bowlers that need a wide width shoe. 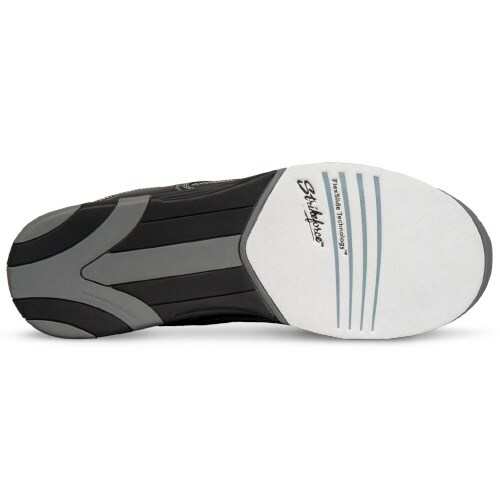 The back part part behind the sliding sole on the shoe seems to be tackie. How can I cure this? Hello! These shoes do not come in the EEE width. The linds shoes do though. They will be an EE width. Do you have bowling shoes mens size 10 - 3e or 4e wide. I have tried Dexter wide and they are tight. 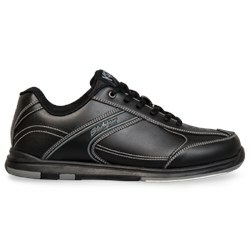 The widest width that we have to offer will be the Linds Mens Classic Black Wide Width and those will be a 3E. 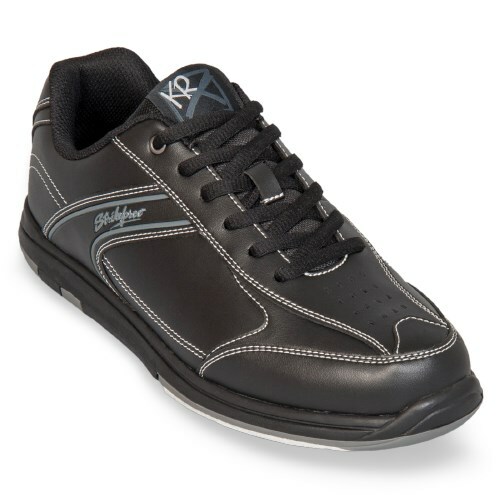 Due to the time it takes to produce the KR Strikeforce Mens Flyer Black Wide Width ball it will ship in immediately. We cannot ship this ball outside the United States.